Shine a spotlight on your stylish personality with this breathtakingly beautiful necklace from Shaze. 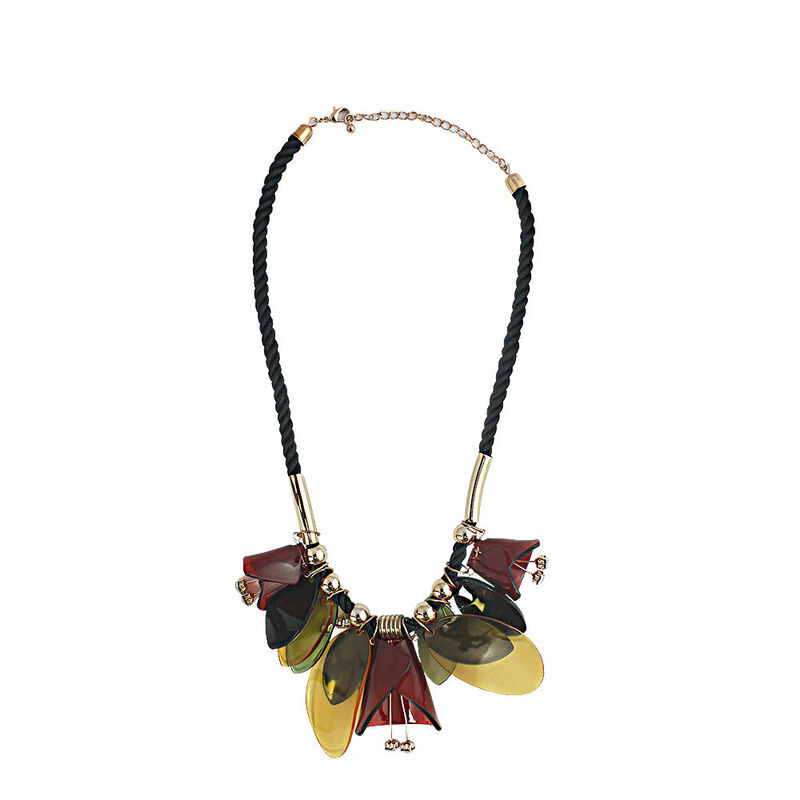 Accentuated with acrylic petals in muted colours, the necklace looks truly appealing. The stunning rhinestone accents add some extra glamour to the overall look. Team this necklace with dark outfits for a captivating combination.